We, at Manav Rachna, believe that learning is made easy through exploration and fun-filled activities. 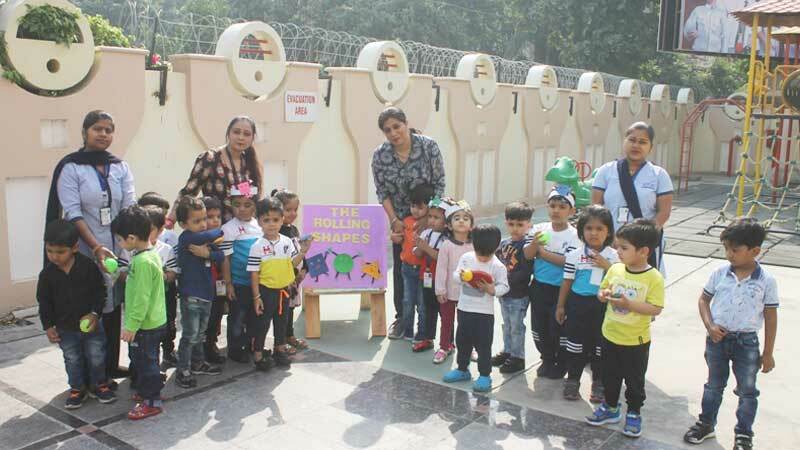 Based on the ongoing theme ‘Color and Shapes’ our Toddlers of the school played the game ‘The Rolling Shapes’. 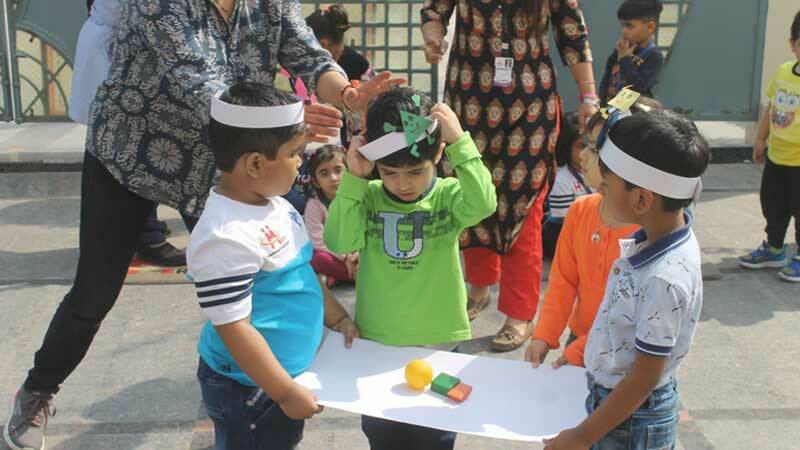 The activity comprised of placing objects of different shapes on a sheet of paper, which two children had to hold and walk in order to find out the shapes that roll and those that don’t. Through this hands-on activity the children were able to learn the reason as to why circular objects rolled over where as other objects did not because they had edges and flat surfaces. The activity enhanced their vocabulary bank with words such as edge, surface, smooth, hard, bumpy, texture along with strengthening Math and Science concepts.